Creating a file of documents for your film is necessary to keep things in order and make sure the film is made in the most economical way. It is also compulsory for most film school courses. That’s not to say it can’t be tedious and difficult to put together. Fortunately, a new digital pack of all the important documents has been released to help filmmakers, whether they are just starting out or running an independent company. 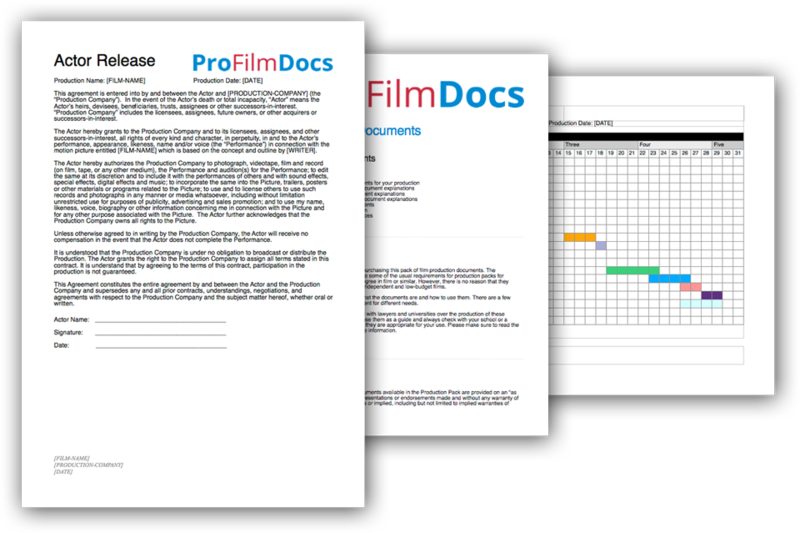 They’re called ProFilmDocs and have been working with universities, colleges, indie film companies and legal advisors to build a pack of templates suited to everyone. OnVideos has an exclusive 20%-off coupon that you can use on a personal license or even an institution license (for schools and companies).